I hope we’re all busily making blocks this year. It’s one of my goals that, as a group, we can break all of last year’s records! We’re off to a good start with that, because we have 86 participants signed up so far — woohoo! And if you want to join in, but haven’t signed up yet, it’s not too late. You can help us break those records. Here’s how the Project works: The 350 Blocks Project, 2015. This month we only had to make 20 blocks — so how did you do? Here’s some of what I did . . . I made 13 blocks for a quilt that will be published later this year, so I can’t show you those just yet. They’re little 6-inch (finished) Variable Star blocks with plain centers, made all scrappy, but with the same background. Very quick! I’m thinking I might put up a tutorial for making them — if you’re interested in that, let me know. And I made several other blocks that I’m going to count later. I don’t want to get confused and count them twice, so I’m just going to count them all when the top is finished. So my January total is 40 — which gives me a little leeway to have an unproductive month later, if that should occur. I have some applique to do — that’ll slow me down! Some of you have already reported in — for the rest of you, it’s time — time to let me know how you did for January. Just leave a comment here (and put a link if you wish, so we can go visit your blocks), or contact me to let me know your numbers. Also, be sure and check the Project page to make sure I have you listed, have your blog linked (if applicable), and have your totals correct. The bigger this project gets, the harder it is for me to keep track! I don’t want to short anyone, so you need to double-check me and let me know if a correction is in order, OK? Thanks! February’s goal is 30 blocks, for a yearly total of 50 so far. That’s more than a block a day, since February is short . . .
You better go get stitchin’ . . . I have finished 43 for January. I had some easy blocks so that will give me a cushion for coming months. Good luck on making blocks everyone. I have made 23 blocks this month for various projects, BOMs and a bee. Hope everyone was successful in reaching their goal. I’m up to 105 wow. I impressed me. WOW Linda!! You’re a rock star!! Well, I’m a slug!! You’ve done very well!! Congrats!! I made 86 blocks this month. Thank you for the inspiration! This month was pretty productive(I wasn’t able to get out). 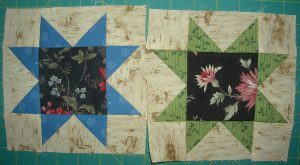 I did 56 pieced blocks (10 1/2 inches) for a quilt and also hand pieced 64 bow tie 4inch blocks. Also put borders on 2 small quilts. When you get OLD you have to hurry and try to get the UFO projects done! 36 for me. They are house blocks for a Kaffe Fassett swap I’m participating in. I thought I did good but now feel like a slacker after reading what Linda accomplished! I love Kaffe Fassett fabrics. I hope to see your results from this swap!! I completed 168 blocks.. YAY me! I had 2 commissioned lap quilts that I completed! I also am participating in 4 bees. One bee we make our queen 2 blocks. I also participated in an IG Swap. I had a very productive month. It’s always nice to see what I have done! Thanks again for starting this! I love participating! Made 52 blocks in January! I’m off to a good start. January Totals Post I did 62 this month – might be a record for me! Your blocks are gorgeous, every single one of them. Interesting how names change, isn’t it? I always knew that block as Sawtooth Star and Variable Star as a star that uses quarter square triangles – like Ohio Star, but colored differently. I love quilt names! I made10 🙂 so hoping to catch up next month! Woo hoo! 128 blocks this month along with four finishes! And, I got some organazing done and just about filled my little Honda with a trip to the charity drop-off the other day. Still a long way to go, but what a nice start. Thanks for the encouragement! Beth @ Words & Stitches! I only got 167 blocks done this month. I do have all my business taxes done though! Woo hoo for that! Guess I’m through sewing for January….got to go to a party. I made 57 blocks. My total for January is 30 blocks. I had 53 for January. More than I expected to, so that is good. I made 22 blocks for January! All on one day! Chain piecing helps! Happy Dance!!! 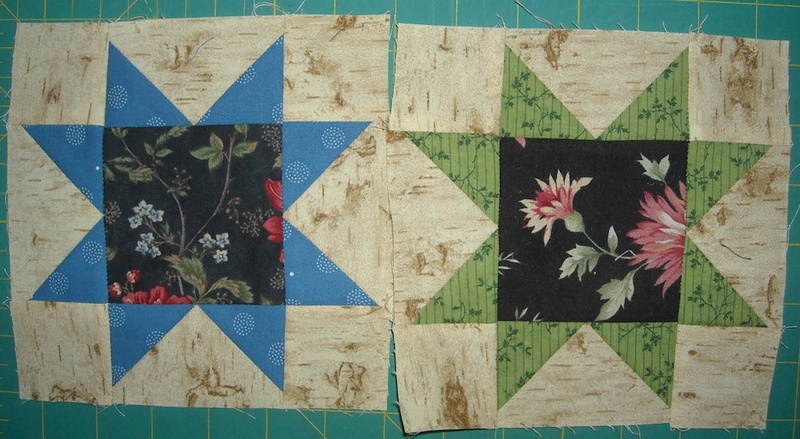 I may go down, but I have started another train quilt for Project Linus & a dog quilt for Project Linus. There were two quilts that I didn’t have on my UFO list, so I still have 38 quilts on my list. I got 434 blocks done this month! Now I’m curious whether I can break 1,000 this year. I think that at least the next couple of months will be spent turning the blocks I just made into quilts. 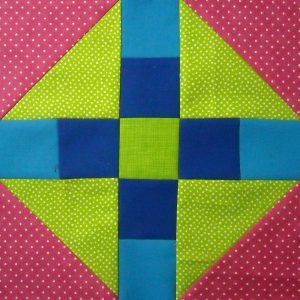 I made 20 blocks in January, 12 for my Farmer’s Wife quilt, some easy snowball blocks and also with the corners I chopped off those made 3″ pinwheel blocks (I hate to waste those perfect little triangles). I’m in the UFO challenge as well, and I finished a quilt top and got that quilted, just have to get the binding on to complete that UFO. Very happy about that! I got 80 made this month–a record for me! 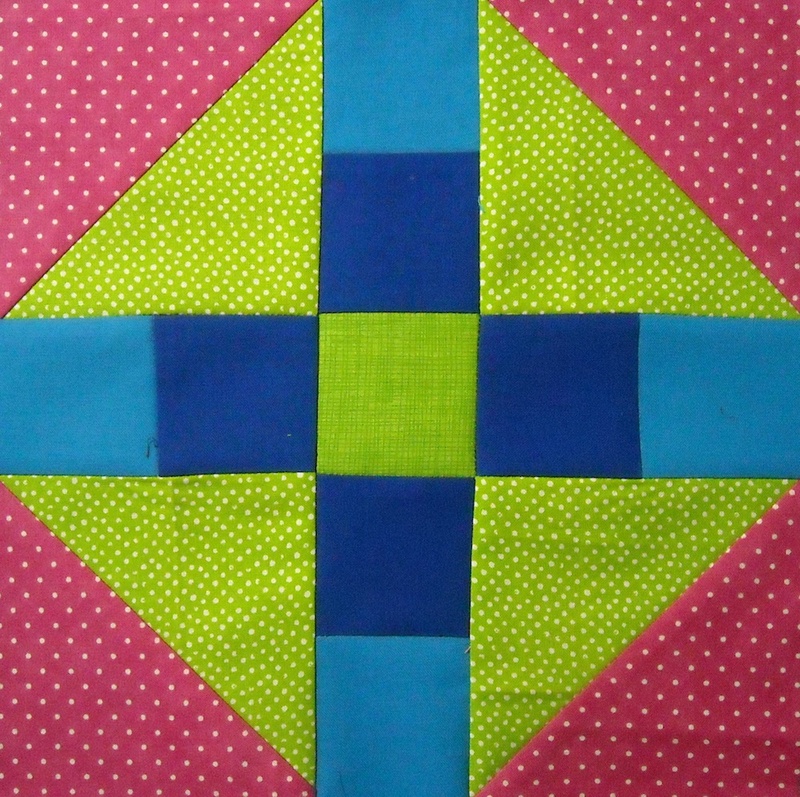 I’m working on a UFO from 2011 which I started when I just started quilting, and my 1/4 inch seam wasn’t really 1/4 inch….. I made 43 blocks this month. It was more than I thought I would do. 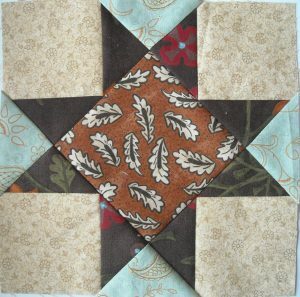 I got 77 blocks done for a Bonnie Hunter quilt. I spent 10 days this month traveling so really cut into my sewing time. This month I count 34. Good solid start! Thanks for the inspiration. If I didn’t count I wouldn’t have thought I accomplished that much. I ended up with 85 blocks for January. More than half (48) were my current favorite block, bowties. I made 56 blocks for January. I made QOV blocks for a swap, Flowering snowball blocks, little bow tie blocks, and some rainbow blocks. I did make a quilt using squares 8×10 and I counted each row as one block. I only made 16 blocks this month. But I will get caught up next month.. I made 48 blocks this month. Nothing like a last minute baby quilt to bump up the number! 128 blocks this month (http://zanasninis.blogspot.com/2015/01/january-block-count.html). It helps that I’m teaching my daughter (8) and a former student (18) how to quilt, and I’m counting our joint project since I’m doing the cutting and plenty of the rest of it! 90m blocks in January for me. 🙂 Until tax season is over I think the totals will be a lot lower. Only 17 blocks but lot of putting blocks togher that I couldn’t count. I got a total of 165 done this month, and three tops done. I’m on a roll! wow you were busy, love the rooster! I haven’t done very well in the block count for January. I’m completing blocks from 2014. I will get something done for February. I was please to finish the month with 60 blocks. love those houses, great job! 43 blocks for me! Thanks for the motivation. i think it came out great as well and LOVE that machine!! I made 19 blocks but also made a stripey baby quilt (no blocks involved) so I’m counting my 20 blocks as complete. For Jan. I did 16 blocks. i got in 5 for January. I got 25 done in January. Working on some applique blocks which are more time-consuming. 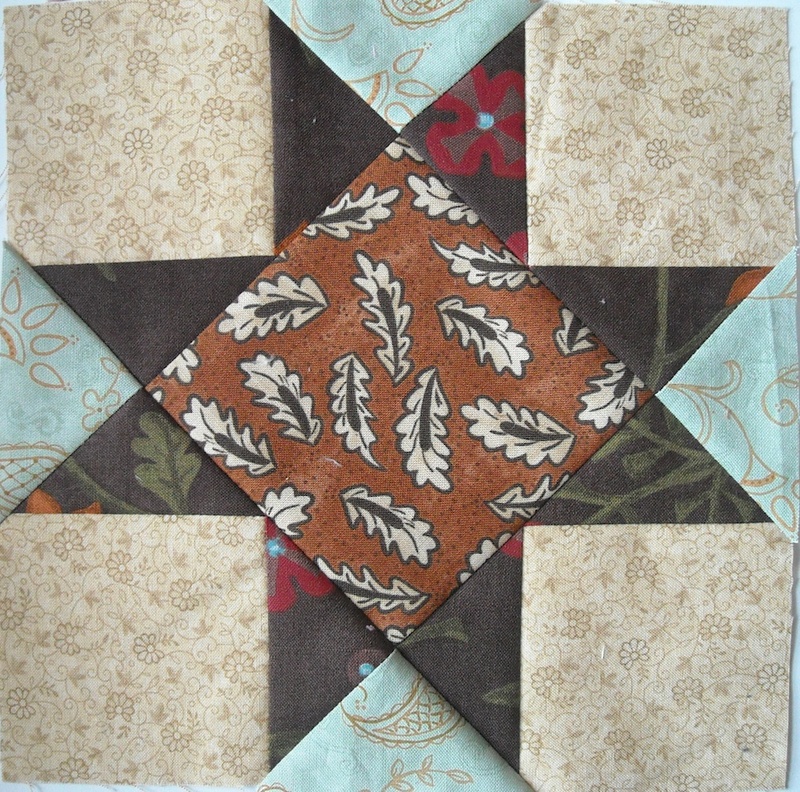 I completed 34 blocks for a quilt using the Postcard Garden fabric line. 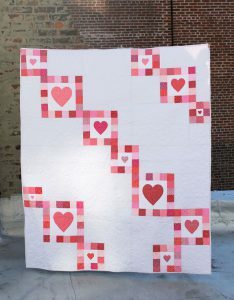 I love that line and the quilt has been waiting to be designed for almost a year. Now it is up on my longarm ready for quilting. I am new at this and for January doing ten minutes daily I have accomplished to get a 1993 quilt block put together for a total of 16 12 1/2 inch blocks ready for the borders. I also have another block of the month started and have nine 15 inch blocks ready for four more to applique blocks to finish. I do not have access right now to post pictures but hope to soon. I’m a little late getting this information out. . . but I did 14 blocks in January. I hope to be able to have more than that done for February; but it is a shorter month. . . . we will see.